When most people concerned with the delivery of healthcare — whether as providers, administrators or payers — think about Radiology Benefit Management, their first and often only thought is that RBM is useful, if at all, only to reduce utilization. While this is an accurate assessment of most RBM programs it fails to recognize the great potential that a well-designed RBM program has to promote better medicine. The primary focus of any RBM process is the identification of inappropriate use of high-cost imaging procedures. What comes next separates the minimally utilitarian RBMs from those dedicated to fulfilling its true potential. Treating referring doctors with the respect they are entitled to receive becomes a vehicle that drives improved patient care. No one questions that there is over-utilization of imaging procedures. This should not however be read as an indictment of those who occasionally order a test that is not clinically appropriate. New modalities in imaging have been developed so rapidly that it is impossible for physicians in other specialties to keep abreast of which studies are likeliest to be of value, and which have been rendered obsolete, or shown to be marginal in answering a particular clinical question. A good RBM program has to begin with an understanding of the pressures faced by referring doctors, their professionalism and skills if it is to be more than another annoyance disguised as a utilization management device. All RBMs doing prior authorization require clinical information for each request, and compare what is received to a set of clinical criteria. 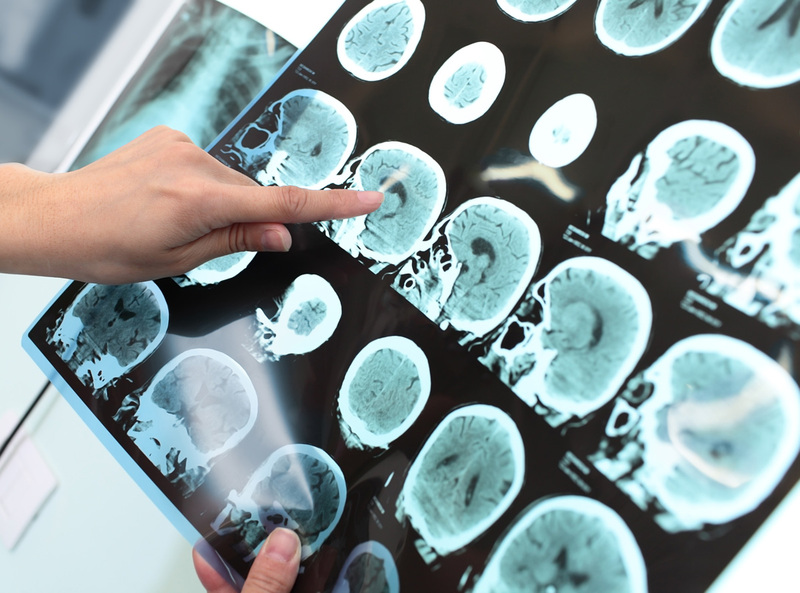 Our approach was designed to identify questionable requests as rapidly as possible, and to have them reviewed by one of our board certified radiologists right away. All of our physician reviewers are radiologists. No criteria set — even ours — can cover all foreseeable clinical situations, so having experienced radiologists involved in the prior authorization process is an advantage that allows us to clear roughly half of the cases that do not get approved at the intake level without demanding anything more from the referring doctor. Just as important is how we deal with those cases that do not meet criteria and are not approved by our radiologist physician reviewers. Our approach sets our approach apart. No request is ever denied without offering the referring doctor a chance to discuss the case directly with one of our radiologists. We believe that this is an indication of our respect for their judgment.By employing radiologists exclusively for this role we increase the credibility of our positions, as these are truly peer-to-peer discussions. Not only are these conversations an opportunity for us to explain why a particular request was not clinically appropriate, given the information we received, but we may also learn of other facts sufficient to allow approval. The collegial tone we foster makes it likelier that the referring doctor will accept a suggestion for an alternative test or agree that a test is untimely and should be withdrawn. Even when a request is denied we have a chance to provide to the referrer information about imaging that can be helpful in future similar cases. From time to time we learn about new indications for imaging, which we then research and if appropriate add to our criteria.Finally, Care to Care is always open to suggestions. By avoiding an adversarial atmosphere, and trying to project an informative voice, we have attempted to create an RBM that serves the interests not just of payers, but also of providers of health care and their patients. Every couple of years the public is reminded that radiation is potentially harmful. Most of us yawn as this is not exactly a eureka moment, while some of us panic, but what is being done about it? In the past week the media brought this issue to our attention through an article published in the Archives of Internal Medicine which projected that radiation used in computed tomography (CT) scans performed in 2007 would ultimately induce 29,000 cancers and kill 15,000 people. The American College of Radiology responded that there were some legitimate concerns about the accuracy of these projections, but there is little argument about the crux of the issue: x-ray exposure carries the risk of induced malignancies. For many decades improving technology had allowed steady reductions in the amount of radiation needed to produce diagnostic x-ray examinations, thus lessening our attention to radiation dosage. This changed radically when CT became available. A CT procedure requires much more radiation than plain film x-ray. Nonetheless it has been the belief of most physicians that the benefit of improved diagnostic accuracy more than compensated for the risk. This is only true, however, if the CT examination is appropriate to the clinical question for which it is ordered. If, on the other hand, the CT procedure is not appropriate, or can only provide information already at hand, or worst of all was ordered for “defensive” or commercial reasons, the risk far exceeds the benefit. (See www.fanc.fgov.be/GED/00000000/2100/2109.pdf for an excellent brief discussion of the roots of overutilization.) The problem, then, is what to do about this? Radiology Benefits Management (RBM), including prior authorization of medical imaging requests, is perhaps the single most effective tool in addressing this problem. RBM has proven to significantly reduce inappropriate utilization of medical imaging in general, and is especially effective in high-tech procedures such as CT, MRI, PET, and Nuclear Cardiology. Since its beginning, Care to Care, the youngest of the RBM companies, has seen its role as one of promoting patient welfare by reducing both wasteful radiation exposure and expense. The most effective approach to consumer radiation safety is to be as sure as possible that only tests that will aid in diagnosis and treatment are performed, and that they are done by high-quality facilities and physicians who meet stringent quality guidelines. The utilization management component, traditionally through a medical necessity review or prior authorization, uses evidence-based criteria to screen out procedures that are inappropriate by virtue of being redundant, not medically indicated, or mistakenly substituted for a better test. Our criteria are designed to allow rapid assessment of requests, and a staff of radiologists is available to discuss clinical and imaging issues with requesting physicians whenever requested and always before any negative determination is made. We are always open to suggestions from the referring physicians, and believe that they are better informed as a result of our efforts. In essence, by promoting the choice of the proper test at the earliest opportunity, we reduce imaging cost, prevent unnecessary radiation exposure, and improve the quality of care.